leaky shower in Great Neck? Thomas Curly Plumbing. A leaky shower in Great Neck is a major issue that can disrupt the entire household. In addition to preventing the family from using the shower, this leak can lead to serious damage. 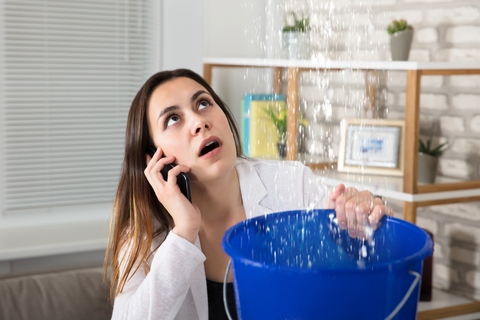 While you may want to try some home remedies before seeking an expert solution, calling Thomas Curly Plumbing in Great Neck for professional assistance is advisable. You don’t want to fix the leak to temporarily; you want it to permanently stop. Home remedies may lead to a brief cessation of the leak, but hiring professional plumbers can bring it to an end. When you try to stop the leak by yourself, you may use methods that cause it to actually become worse when it starts up again. Your ultimate goal is to rid your home of this problem, and Thomas Curly Plumbing can help you to accomplish that mission. Even if you are successful in getting the water to stop dripping or pouring, you may not have necessarily uncovered the source of the leak. Finding out why the leak is happening proves pivotal in truly resolving the issue. Other plumbing problems could manifest if the root of the problem remains unfixed. Professional plumbers can offer guidance in explaining the type of work necessary to address the reason for the leak. Tinkering around with the shower yourself may simply be a waste of time that could otherwise have been spent by plumbers who know what direction to follow. Taking extra time now to try to fix the leak alone could lead to even more wasted moments in the future. For example, if you have only one bathroom in your home, you may need to find somewhere to stay for the night until a plumber can come tomorrow. Instead of potentially extended the leak, call for assistance now. You may also think that you can search online for ways to repair the leak, but this method does not necessarily lead to credible assistance. Thomas Curly Plumbing has been in business since 1972 in Great Neck, meaning that the company has experience in dealing with many different types of plumbing-related issues. Instead of trusting possibly untrustworthy and potentially damaging online sources, you may meet with an experts to discuss the needs of your home. When it comes to the place that you call home, you likely have questions about how to improve the aesthetics and the comfort level. You also certainly want to make sure that your home is safe for your family. Hiring a plumber is one way to have your questions answered. When you have additional concerns about the leaks, you can speak with a professional to have greater confidence and ease. If the shower is leaking, you may feel overwhelmed. As a result, you may put off the work or attempt to complete it by yourself. Instead of taking these paths that can just lead to additional stress and problems, call Thomas Curly Plumbing in Great Neck for assistance. Remember: One call does it all – with Curley Plumbing and Heating! Contact us today!